Free pattern for beautiful beaded bracelet Monaco with tila beads. Tila beads are two-holed beads nicknamed Tila. These beads are a product of Miyuki. With two holes these beads are great for doing ladder stitch. Since ladder stitch requires passing of thread several times into the beads’ hole Tila beads gives the thread enough room to pass several times. The Tila Droplet Charm joins my other two free beading patterns at beadorigami.com, and it’s the first free tila bead pattern available on my website. I designed this charm to match the Dewdrop beaded bead. Like this beaded bead and the Dewdrop bracelet, this charm frames a tila bead with round and drop-shaped Japanese seed beads. Download Free pattern for beaded bracelet Viva with tila beads. 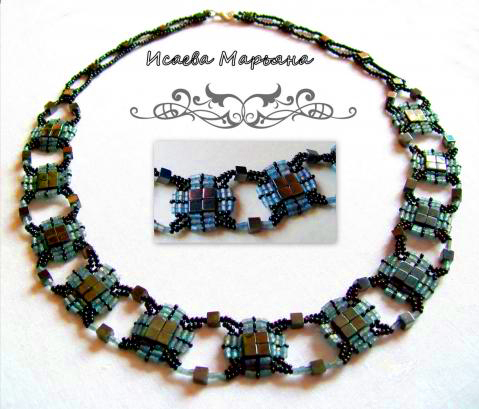 Make a pretty necklace with tila beads using our free pattern. 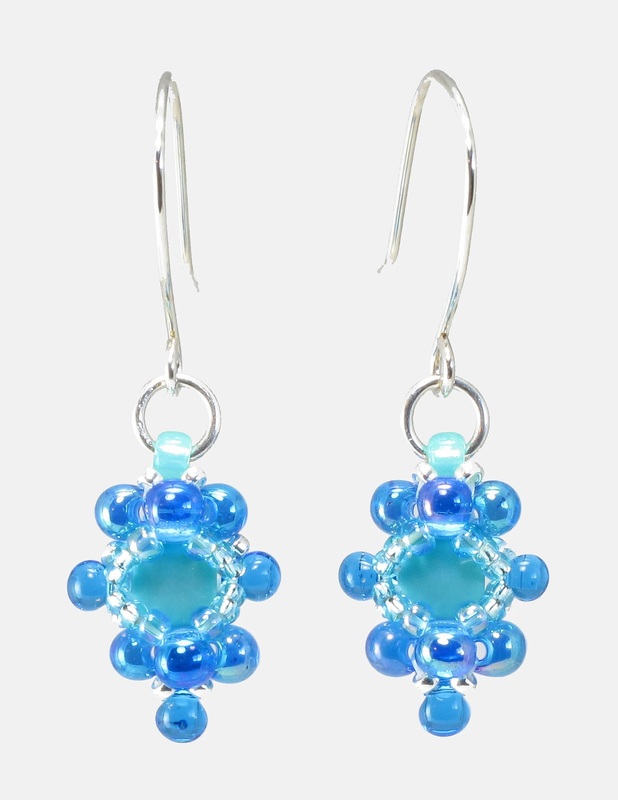 Centperles Blog has a free tila bead pattern up. Click on “hiropdf” to download a one-page PDF of instructions. The catch—it’s in French but the illustrations are great. For materials, “rondes de 8mm” are 8mm round beads and “rocailles” are seed beads.